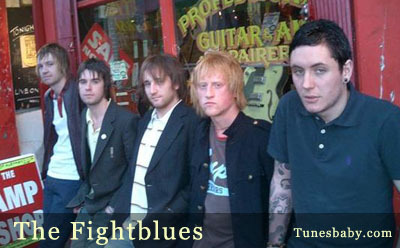 Hailing from Perth in Scotland, The Fightblues are a five-piece Indie/Rock band, establishing their sound as 'a fusion of raw guitars and compelling riffs with driving bass. This is complemented with aggressive beats, distinctive vocals and electronic effects'. A sound brought to together with a combination of many influences mixed in with their own edge and confidence. The band back up their sound, with a superb live show and local gigs have drawn in sell- out crowds. Recently the bands track 'The Gas Light' appeared on a compilation album Up North 3 featuring some of the country's best unsigned bands.